Residents are concerned with the safety of the proposed bicycle paths in Cape Coral. According to an article in the Cape Coral Daily Breeze, the new paths along Agualinda Boulevard will do nothing more than increase the risks of bicycling accidents in Cape Coral. Some believe that these paths will further complicate traffic conditions at 45th Terrance and 44th Terrace and will put bicyclists closer to fast-moving traffic. Because of the rise in elevation from the canal bridge, motorists’ and bicyclists’ visibility is extremely limited from both the north and south sides when traveling near Agualinda Boulevard. As of now, there are sidewalks on both sides of the road. Traffic officials are looking to add another bicycle lane. But some bicycle and pedestrian advocates worry that the lane changes will be putting motorists closer to them and closer to an accident. 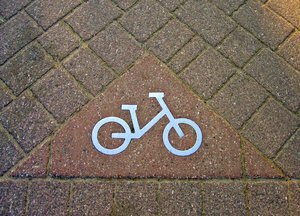 Our Cape Coral bicycle accident lawyers understand that lane width is critical in keeping our bicyclists safe. This is a popular area for bicyclists and pedestrians to travel. Increasing the number of lanes will ultimately put these bikers closer to traffic and may serve to increase close calls or actual accident on Agualinda Boulevard near both 45th and 44th Terrace. Rex Newman of Cape Coral asked city council members who are voting for this change to come out to these sidewalks to see just how scary they are. He says these council members will immediately see how little room is provided with the conditions as they are now. He says there’s little room on these roadways already since travelers are so tightly squeezed in with obstructed visibility. Imagine being a bicyclist, he says, and riding while vehicles zipping past at 40 miles an hour. He says picture that and add a bridge that you can’t see over. Both of these conditions provide risky situations for passing bicyclists, pedestrians and vehicles entering and exiting the roadways. He goes on to say that the city would only be contributing to more accidents at these intersections if it were to add another bike lane. “Why fix something if it ain’t broke?” he asks. Detractors also claim it would be an unnecessary expense. For the construction of this one lane, it would cost the city nearly $20,000. That’s money that could be used on constructing a safe sidewalk near a bus stop or along a school bus route. According to the News-Press, about 100 people want to nix the bike path idea. More than 90 opposing comments were submitted to the city during a recent open house. Cape Coral’s Transportation Advisory Commission says that these lanes won’t interfere with traffic. These lanes they’re trying to build would travel along Beach Parkway from Oasis Boulevard to Agualinda Boulevard and another lane from Cape Coral Parkway to Beach. “This process is driven by citizens. It’s not driven by an initiative from City Hall.” said city traffic engineer Rashad Hanbali. According to Hanbali, it’s not illegal for residents to ride their bicycle on the sidewalk, but bicyclists should walk their bike when pedestrians are around. Southwest Cape Coral Neighborhood Association supports the proposed bike lanes. Overall, there are about three miles of lanes being proposed, which could cost the city nearly $60,000. Associates and Bruce L. Scheiner, Attorneys for the Injured, is dedicated lawyers helping accident victims throughout South Florida, including Cape Coral, Fort Myers, Naples, Port Charlotte and Sebring. Call us today for a free and confidential consultation to discuss your case. 1-800-283-2900.